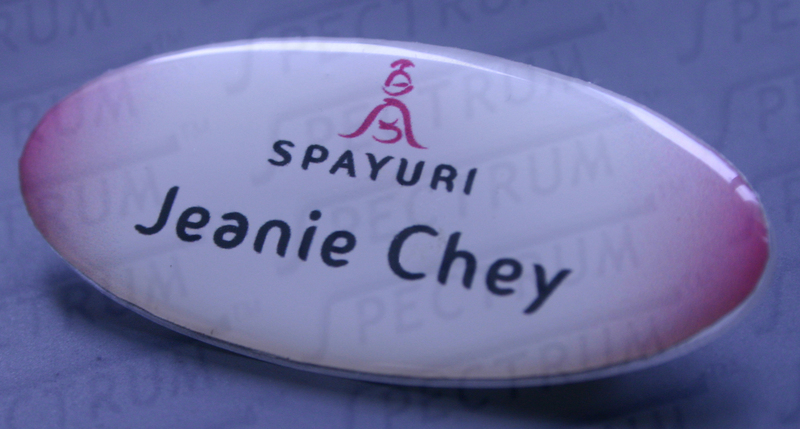 Acrylic Plaque with Transparent Print Sandwiched Inside. Engraved with text and designs. Standard designs are shown as A to F, each design has option 1 or 2 for direction faced. Designs can be omitted. Text can be in place of designs or on the vertical body. 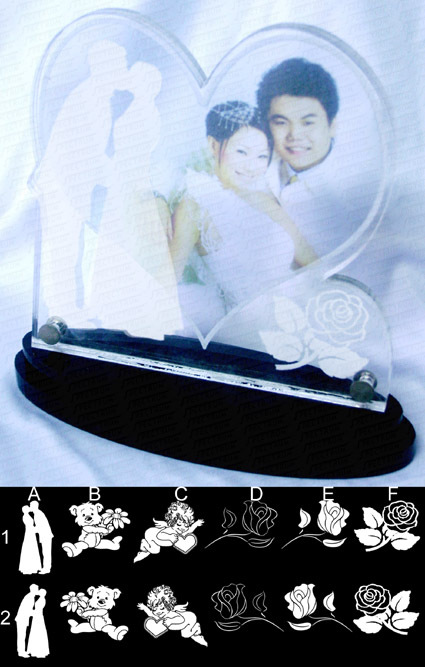 Text engraved on base (black portion, horizontal) can be an add-on. Logos can be an add-on. Custom designs can be an add-on. 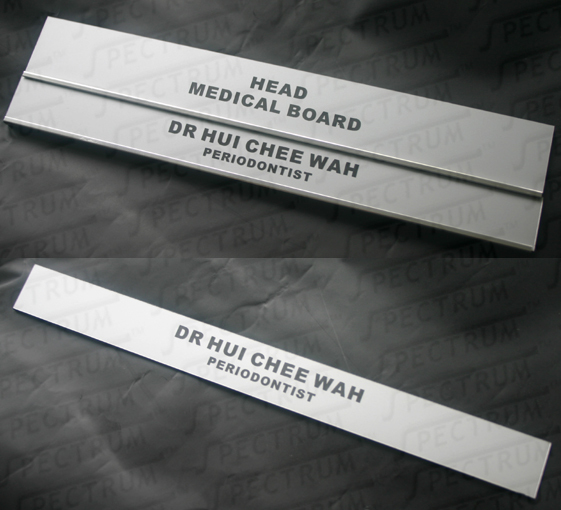 Custom shape of plaque can be an add-on. The content can be a room name, title or whatever you like. The material is actually 2 layers of plastic. Each layer has its own colour. The upper layer when engrave lets the lower layer appear. 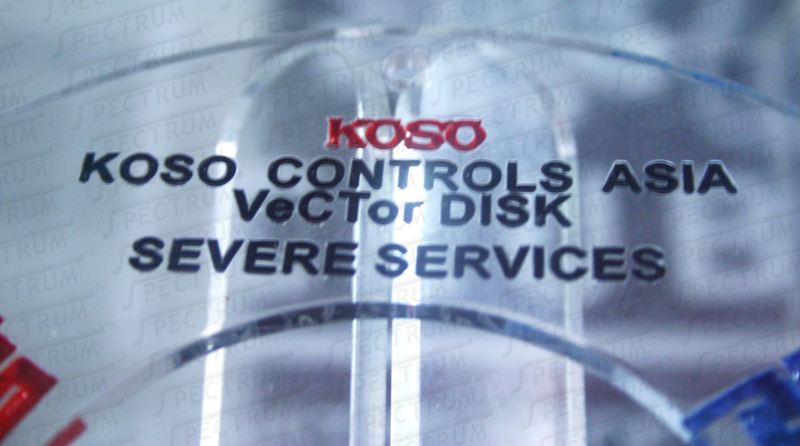 Text, symbols and logos can be engraved. Text can be engraved with a wide variety of fonts. The 1st example has a sliding bar below for easy changing of the tag. It can also be used as an indicator bar, for example in or out, occupied or available. The sign in its most basic form will be like in the 2nd photo. Most of the time, customers chose to simply choose to stick it onto the door.